Special Offers from Discount School Supply®! : SAVE 15% on items in Language and Social Studies! At Discount School Supply®, we know how important it is for teachers, parents and caregivers to save on supplies. That's why we make sure you can Save 15% on Language and Social Studies! Use Code LANGSOC to Save! One Week Only - Ends July 23rd! 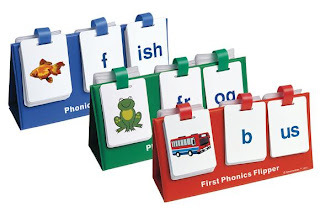 Phonics Flippers starting at $12.29! On the left side of the Phonics Flipper are cards with pictures. Just sound out the word and then flip the two cards with the letters that make those sounds. Flippers include: 30 picture cards (3 1/4"W x 4 1/4"H) and 40 letter cards (3 1/4"W x 4 1/4"H) all firmly attached to a tabletop stand (12 1/4"W x 3 3/4"D x 6 1/4"H) that collapses for easy storage. Activity guide included. Classroom Calendar & Weather Center only $42.99! What's the day going to be like? 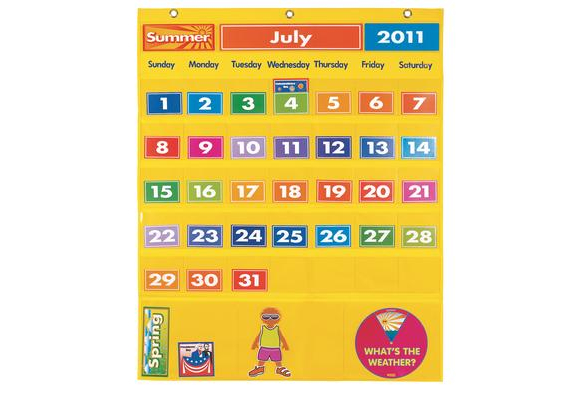 Our exclusive, calendar pocket chart makes keeping track of dates, holidays and the weather a fun and interactive way to start the day! Children will love dressing the chart's weather mascot, the Weather Kid, and can practice for their own dress-up play when they match his clothing (included) to the day's weather. Cards include: 4 seasons, 12 months, 31 days and 15 years. English version includes 30 holiday cards. Match It Up! 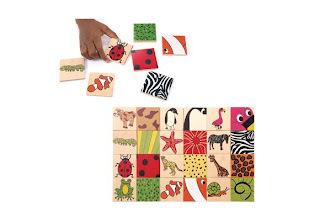 Animal Matching Game only $10.99! Matching is an important early literacy skill. This unique matching game helps children recognize colors and patterns, matching them to the correct animals. 12 different pairs to match up. 24 brightly painted wood tiles measure 2" x 2" x 1/2" thick. Ages 2 years and up. Shop today and SAVE BIG on an assortment of Curriculum Support items like these for your home, classroom or learning center. Remember, Discount School Supply has the Lowest Prices, 110% Guaranteed on Arts and Crafts, Furniture, Manipulatives, Curriculum Support, Active Play items, Dramatic Play products, Classroom Janitorial and Cleaning products and More!